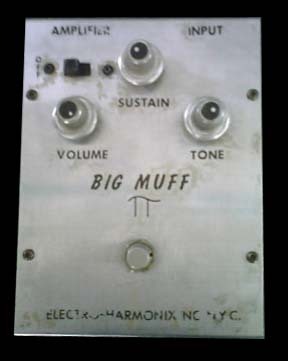 Version 2 - "RAM'S HEAD" BIG MUFF (USA circa 1973) - As with the V1 "Triangle" Big Muff, it should be clearly stated that there is no 'one' V2 "Ram's Head" Big Muff tone. 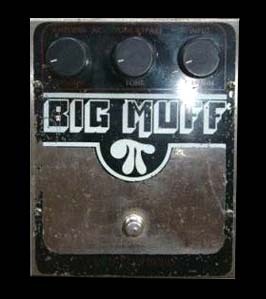 There are several. 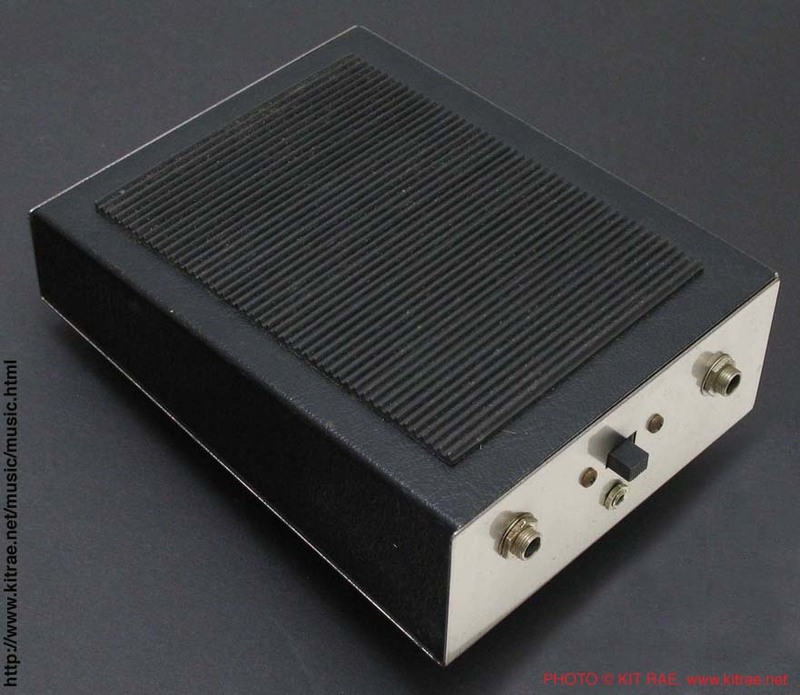 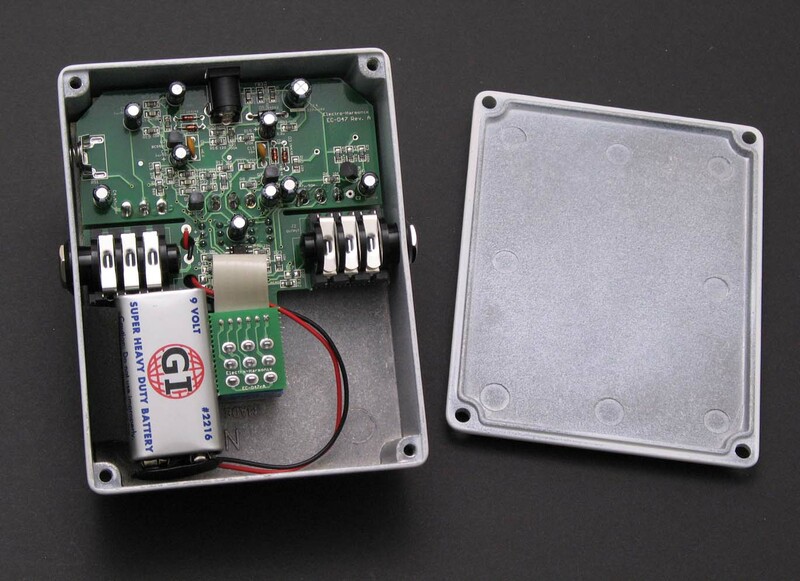 Basically the V2 was just a larger enclosure for the V1, and the ever-changing component values meant the sound changed from one circuit variant production run to the next. 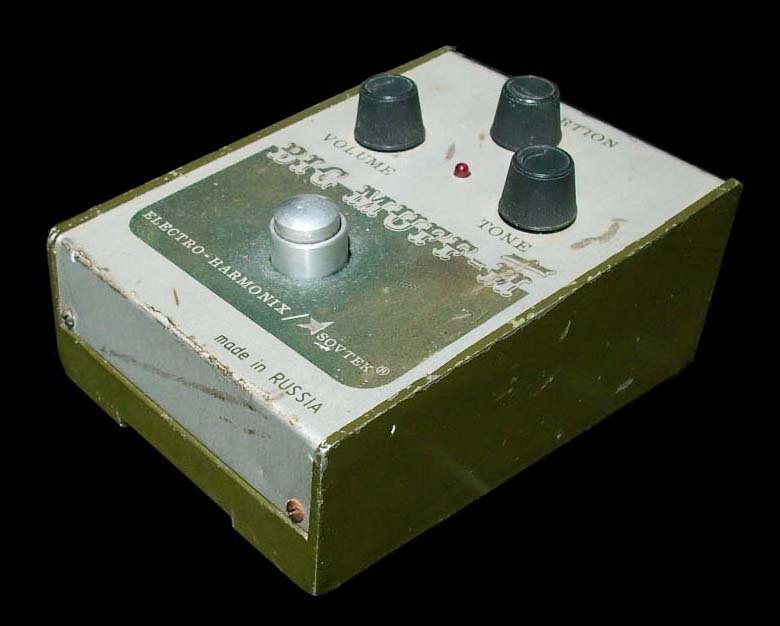 Listen to the Animals and The Wall alnums by Pink Floyd for examples of solo tones using this pedal, and listen to Dinosaur Jr. for examples of the raw lead tone and wall-of-sound use of this pedal. 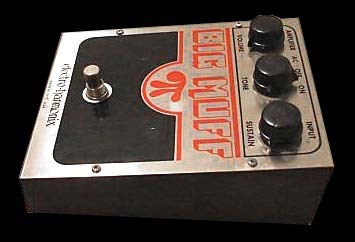 The V1 and V2 Big Muffs both spanned a similar range of circuit variants, so in that regard, some V1s sound the same as some V2s, but many do not. 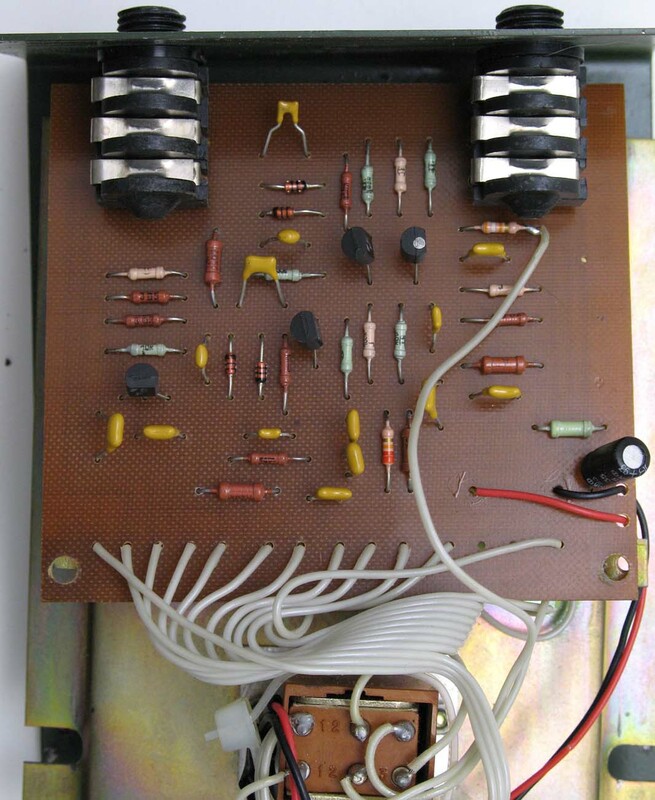 Version 4 "OP-AMP" BIG MUFF (USA circa 1978) - The four transistors circuit design was radically changed to a new design that used op-amp ICs for this version. 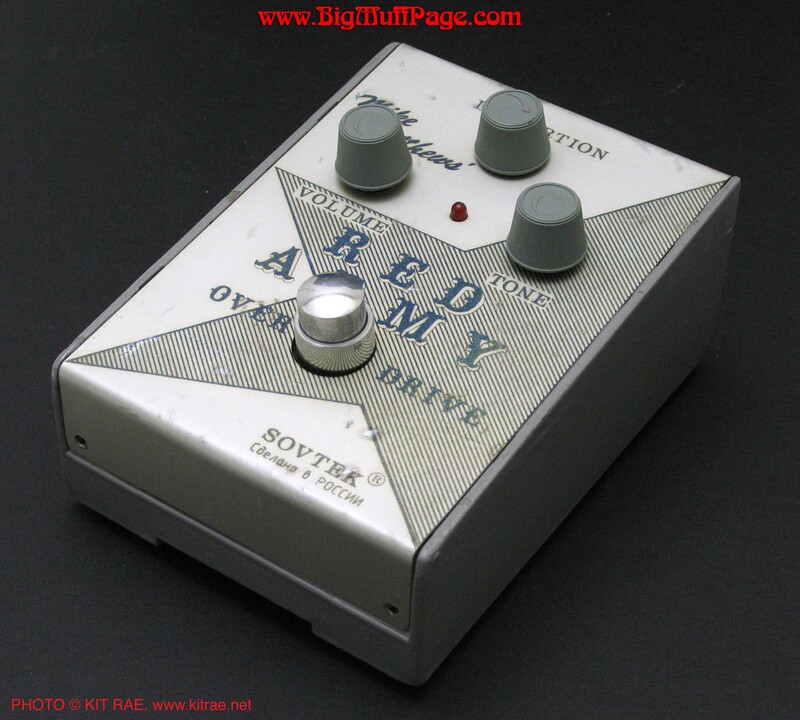 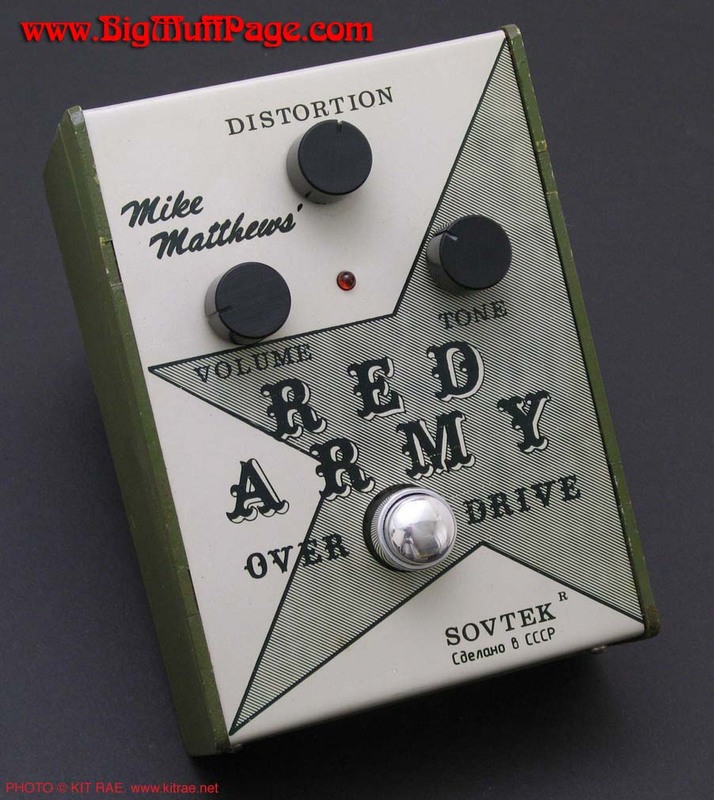 This is a great distortion pedal with a big sound and much of the same scooped mids character of the previous transistor versions. 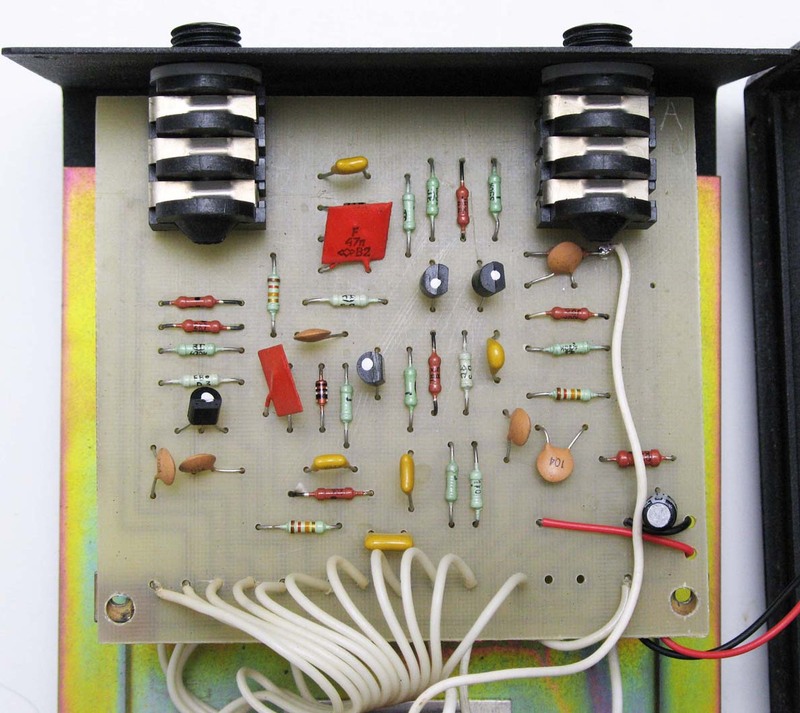 I think the transistor versions are more organic and sound better for bluesy solos, but the op-amps are great for crushing, grungier, wall of sound material, heavily distorted rhythm playing, and heavy leads. 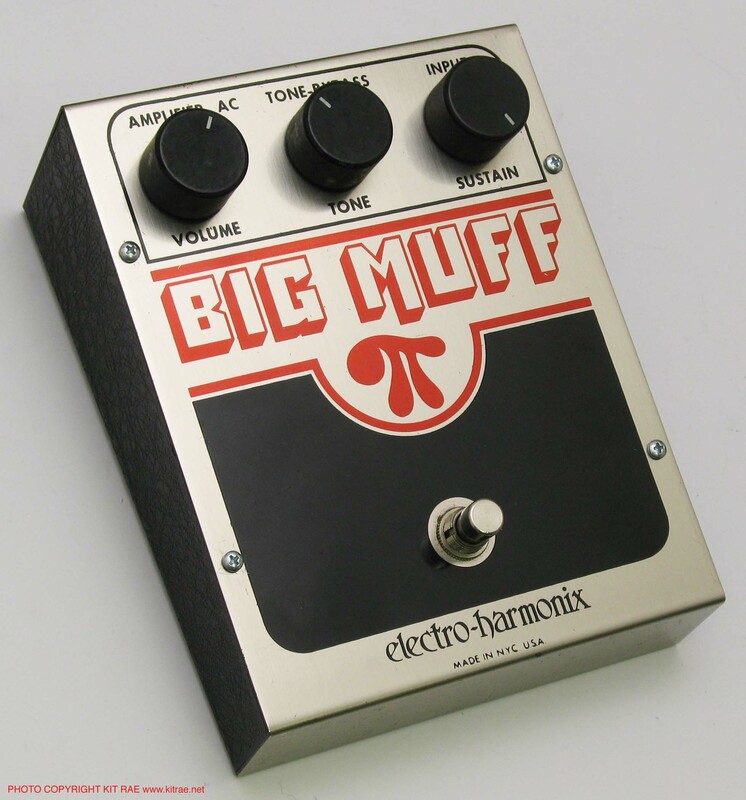 They have a very deep crunch, flat mids, and superb deep bass control. 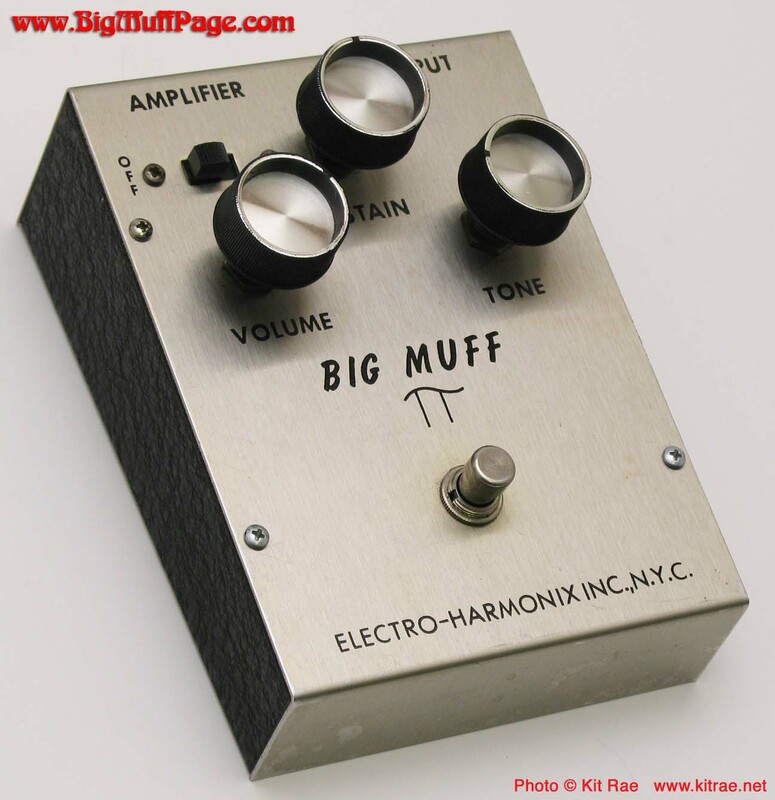 They are not as good for palm muting as some of the earlier Big Muffs. 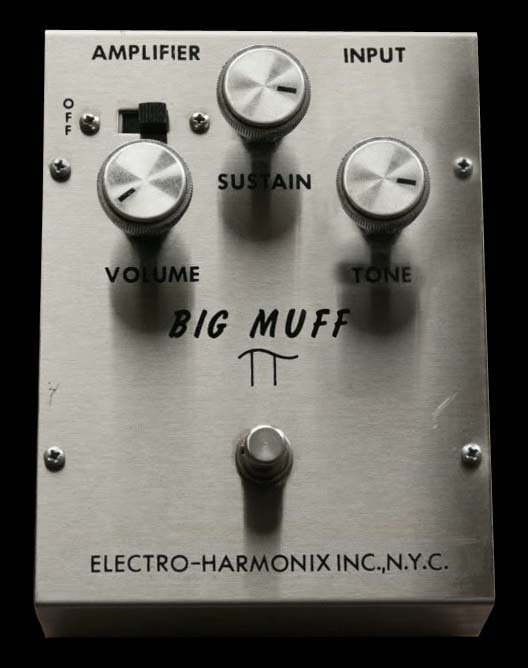 They do not do fuzz quite the same as the transistor versions, nor do they have the same character and organic randomness. 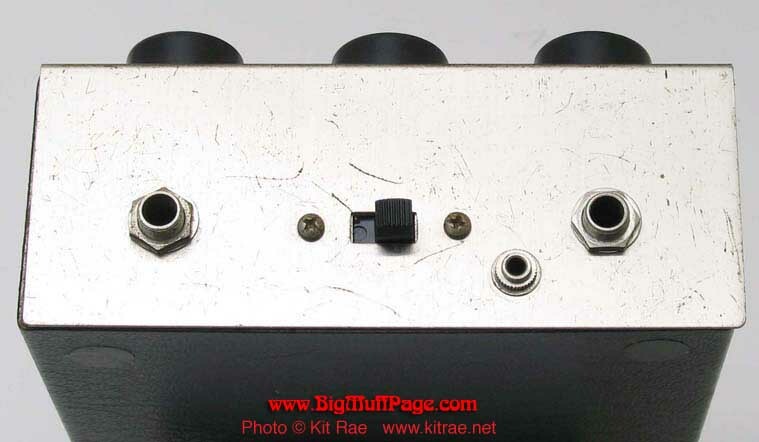 The scooped tone makes them easy to get lost in a band mix when playing live with certain amps. 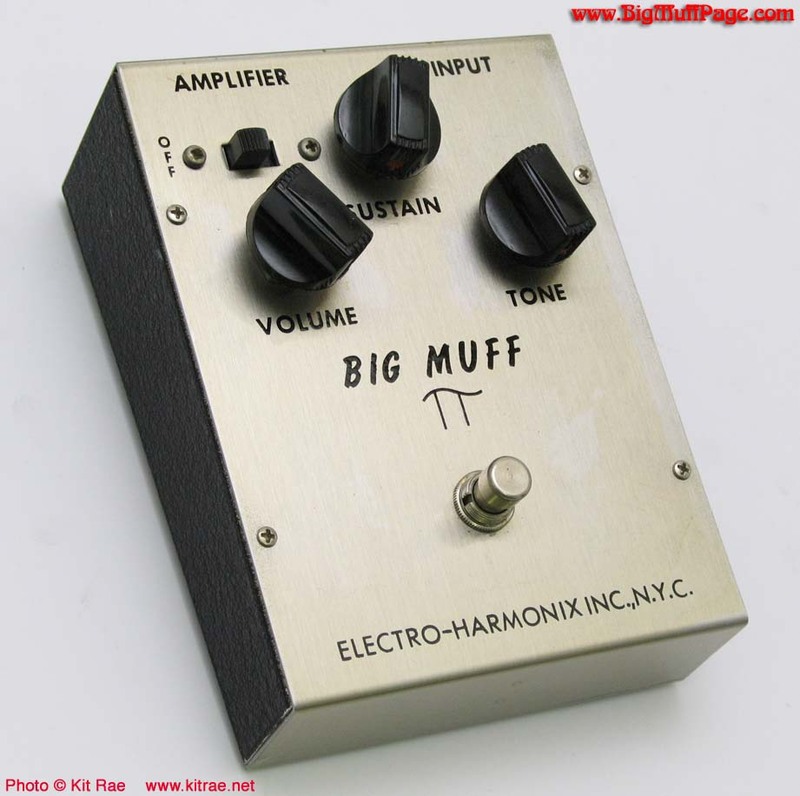 Unlike the transistor versions, the tone is very consistent from unit to unit. 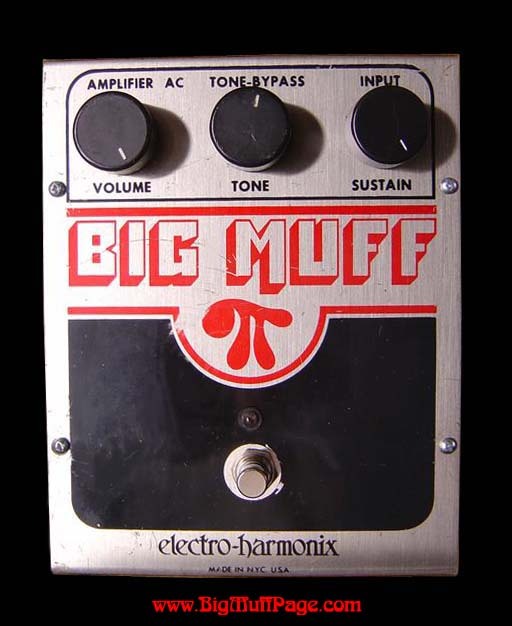 Some units may have a noticable volume/gain boost when the pedal is switched off due to the fact that these old Big Muffs do not bypass the signal even when off. 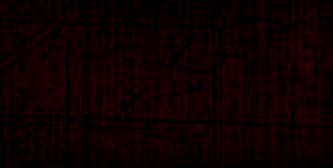 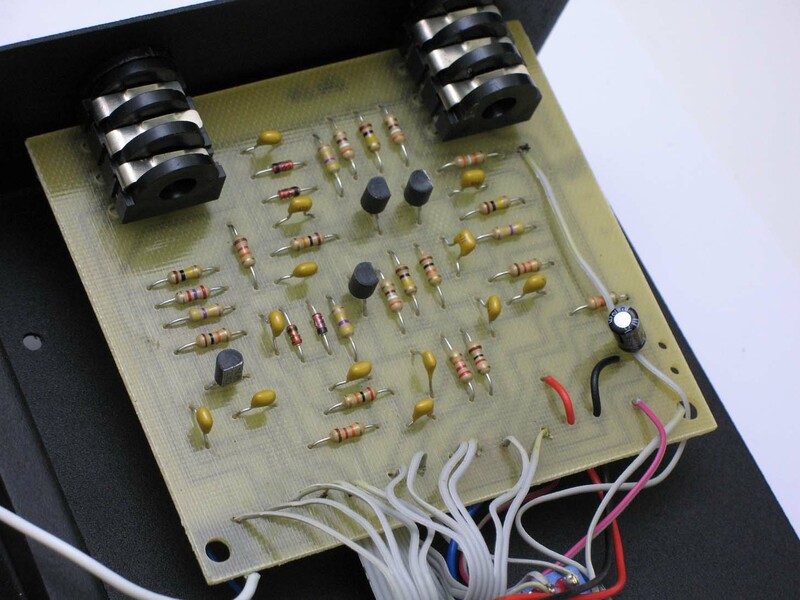 The signal still goes through and is amplified by the active op-amps, which can sometimes add a gain boost. 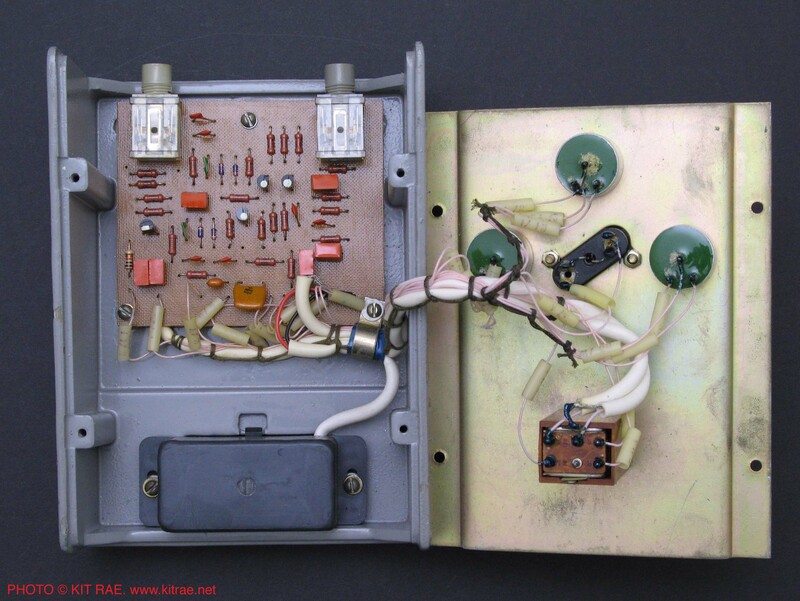 Adding a true bypass switch can eliminate this problem. 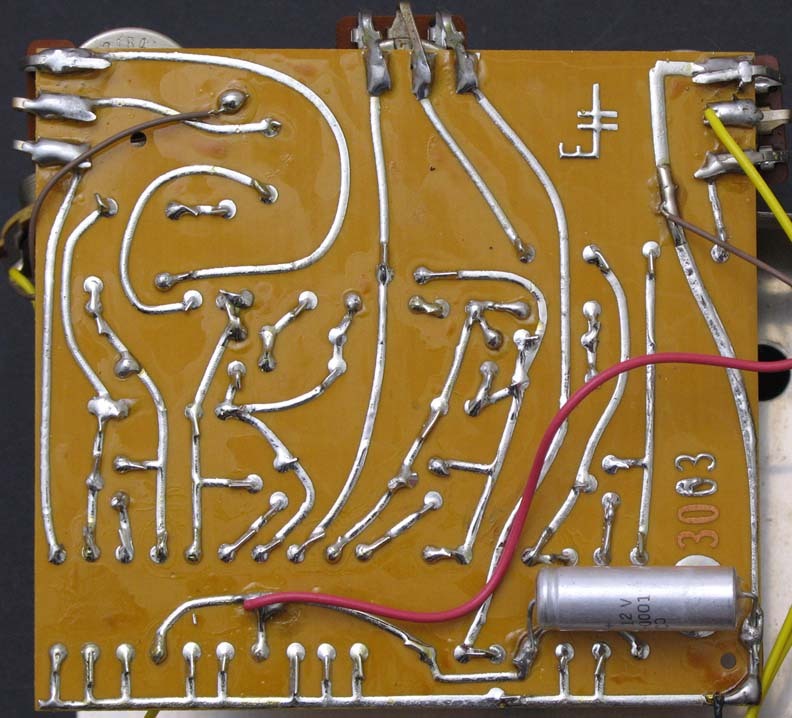 This is the Big Muff circuit heard on most of Smashing Pumpkins' Siamese Dream album, so that should give an idea of the potential of this version. 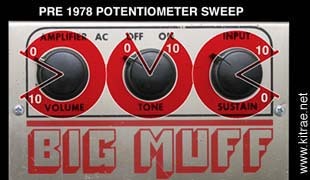 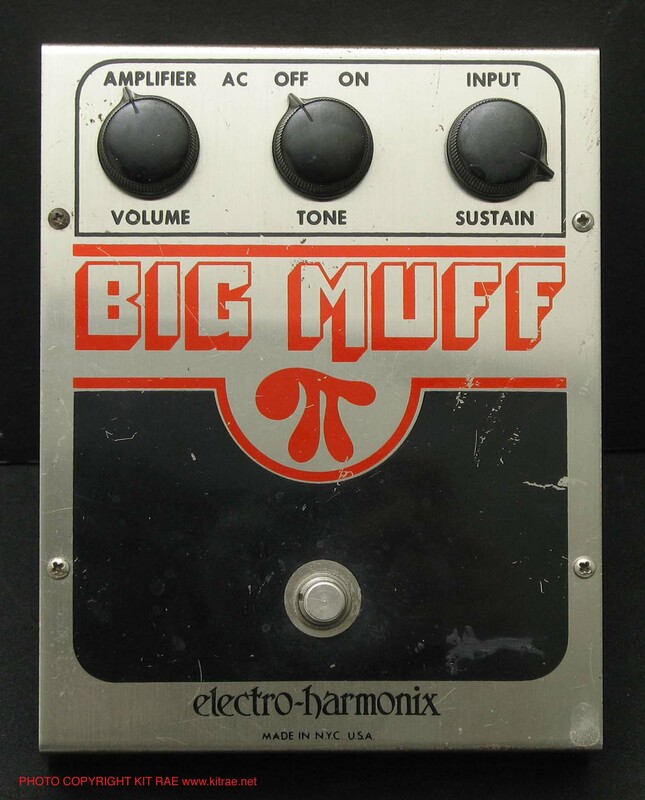 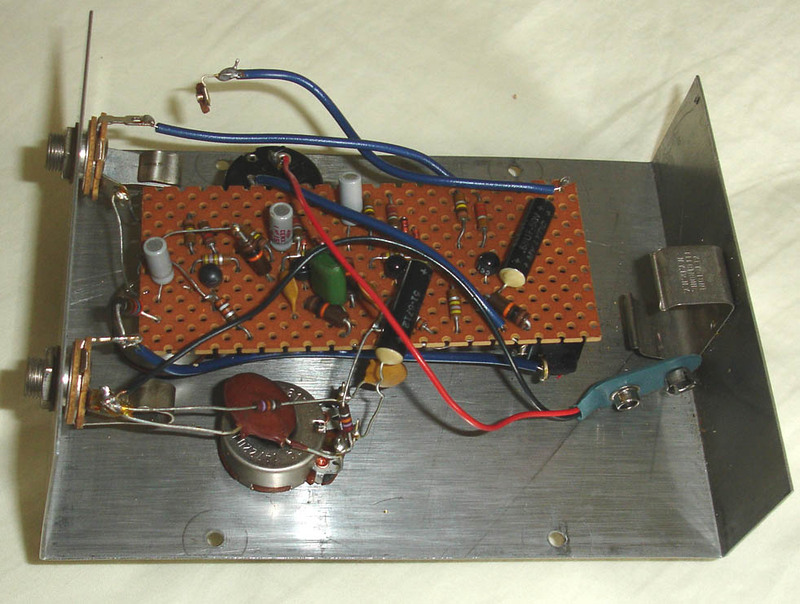 It is the rarest of the two op-amp Big Muff versions. 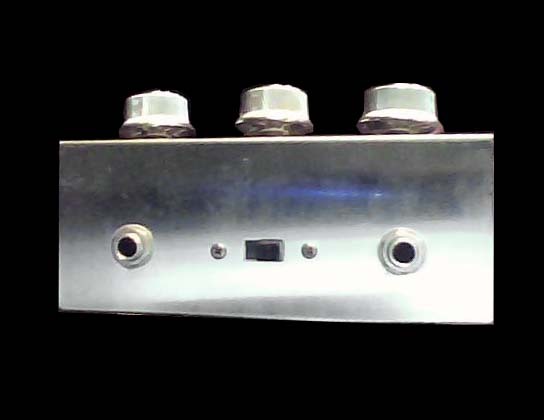 It was aslo offered simultaneously in a tone bypass switch version, the V5. 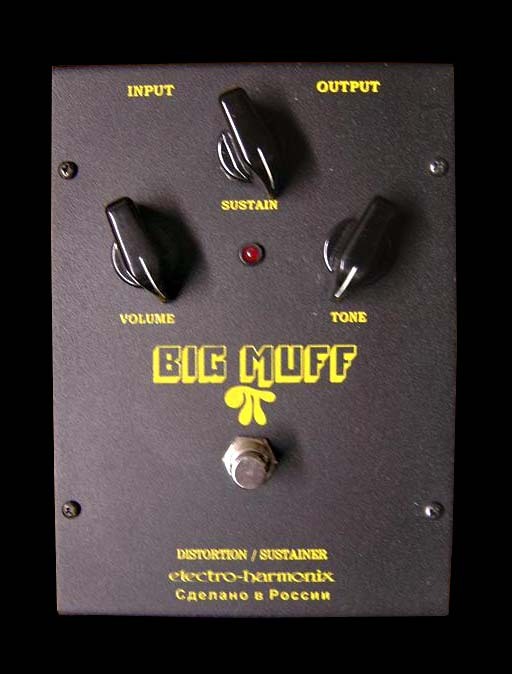 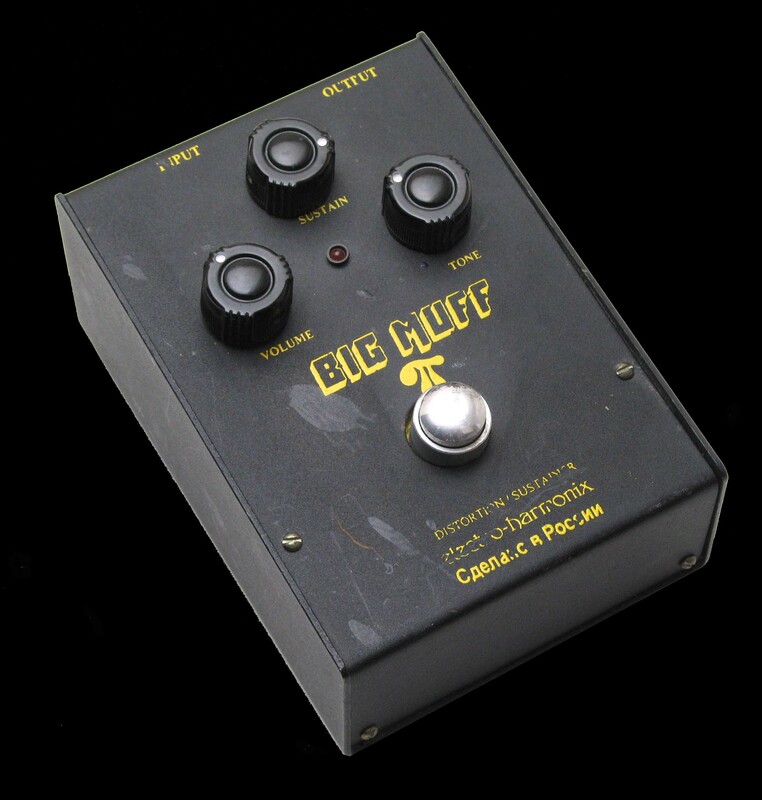 Version 5 OP-AMP "TONE BYPASS" BIG MUFF (USA circa 1978) - Practically dentical sounds to the V4 op-amp Big Muff described above, utilizing nearly the same circuit design, but there is subtle difference in the EQ, making the V5 low end frequencies sound slightly less tight than the V4 . 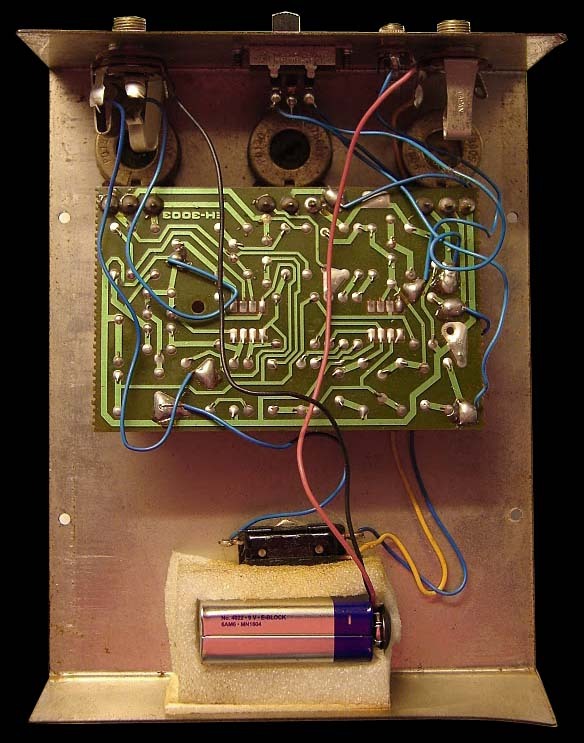 This version included a 'tone bypass' switch that completely bypassed the tone circuit, making for a huge, brighter, distortion tone. 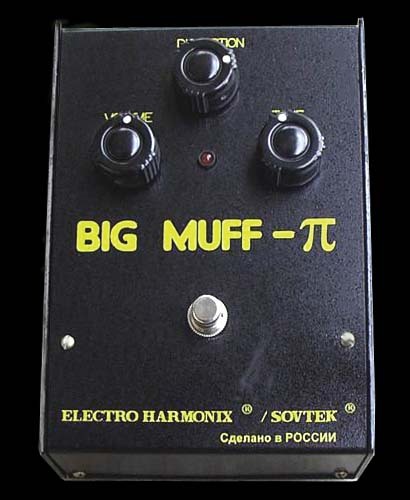 When bypassed the tone has a flatter EQ allowing slightly more mid frequencies to come through. 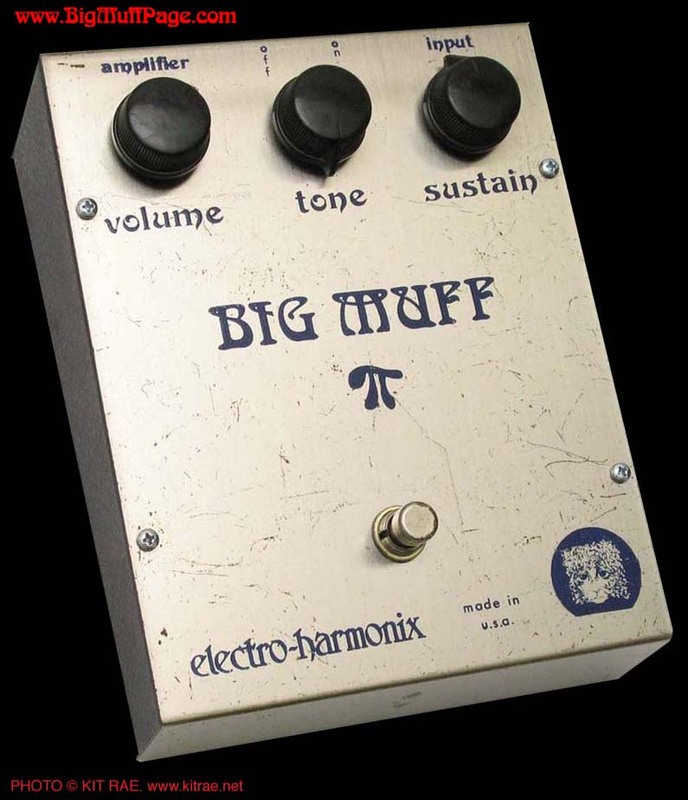 The tone in non-bypass mode is very close to the traditional Big Muff sound. 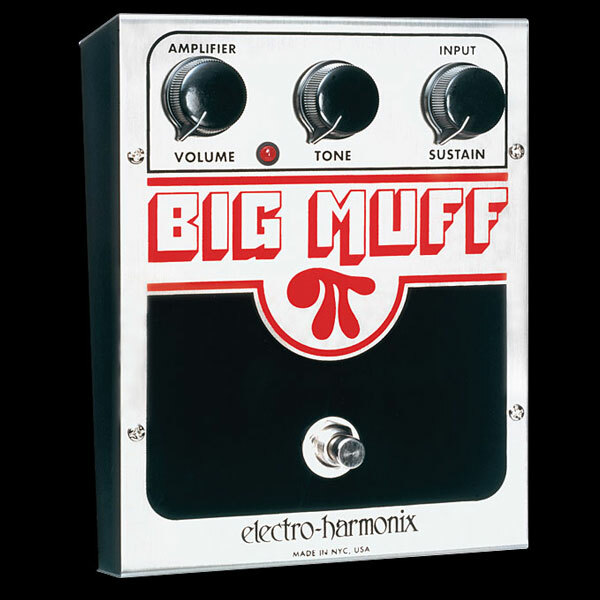 In bypass mode it has more of a heavy, classic rock sound. 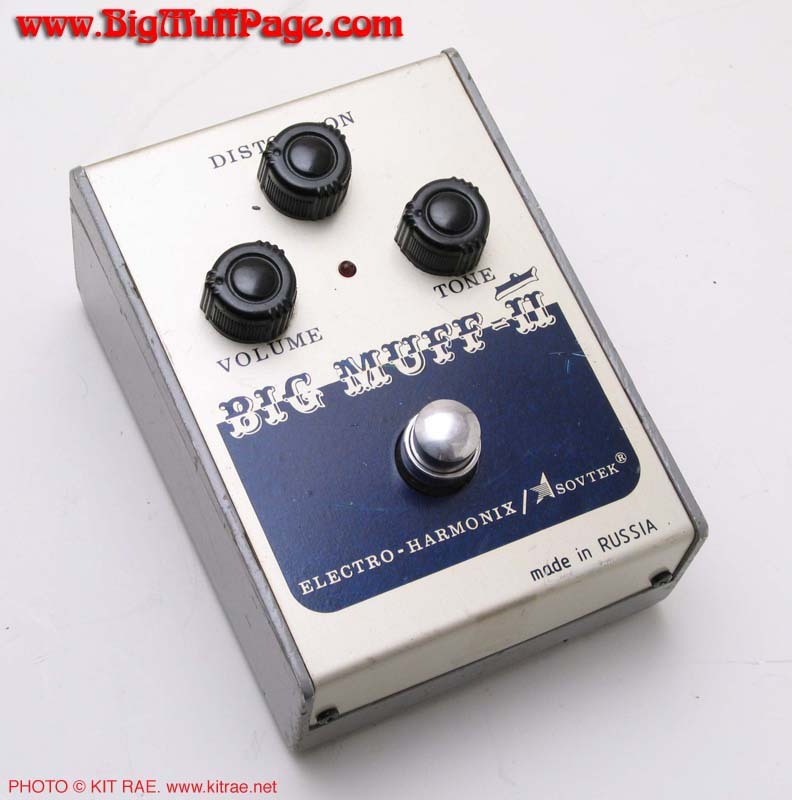 Note there is a slight 6-7 decibel volume boost when in bypass mode. 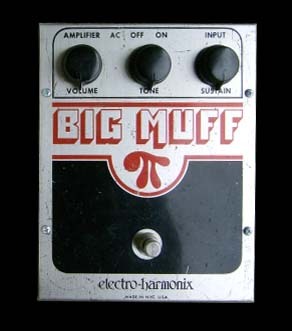 This is the most common of the two op-amp Big Muff versions offered. 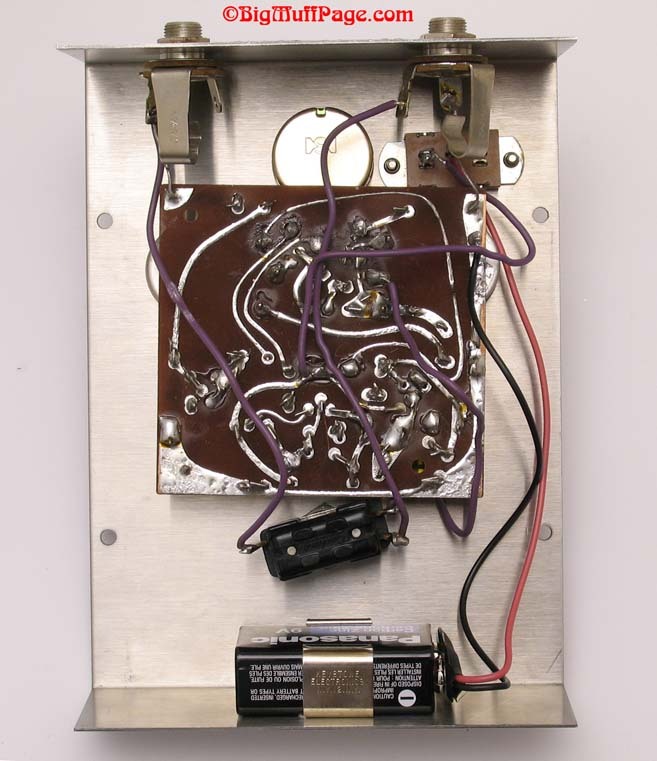 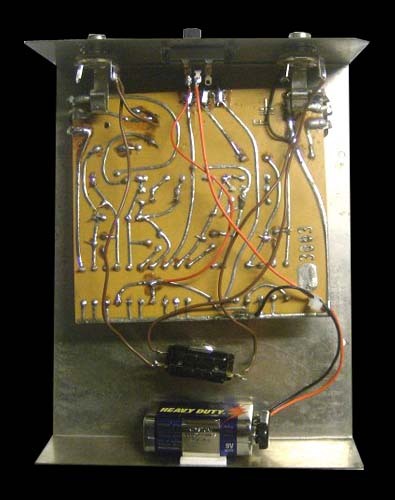 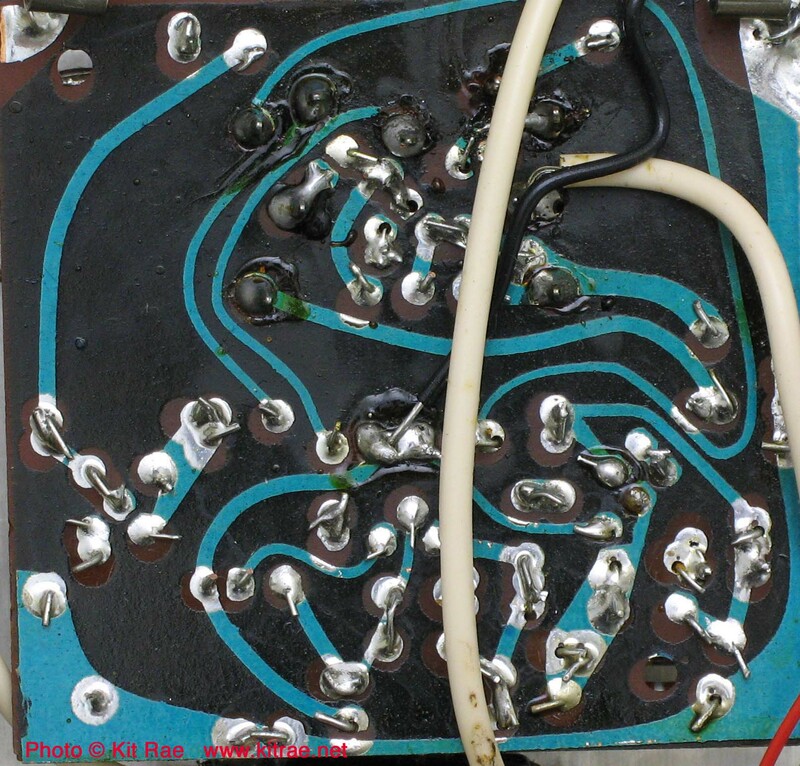 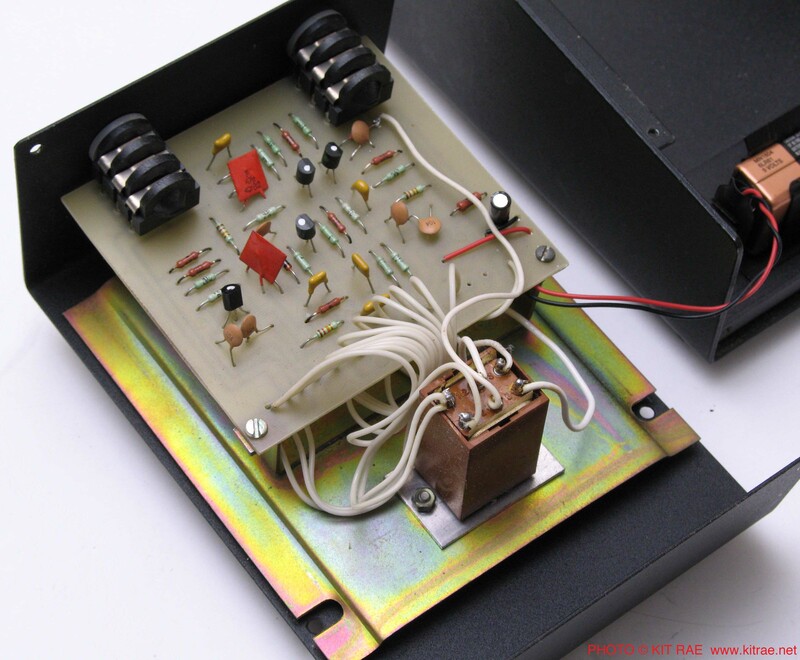 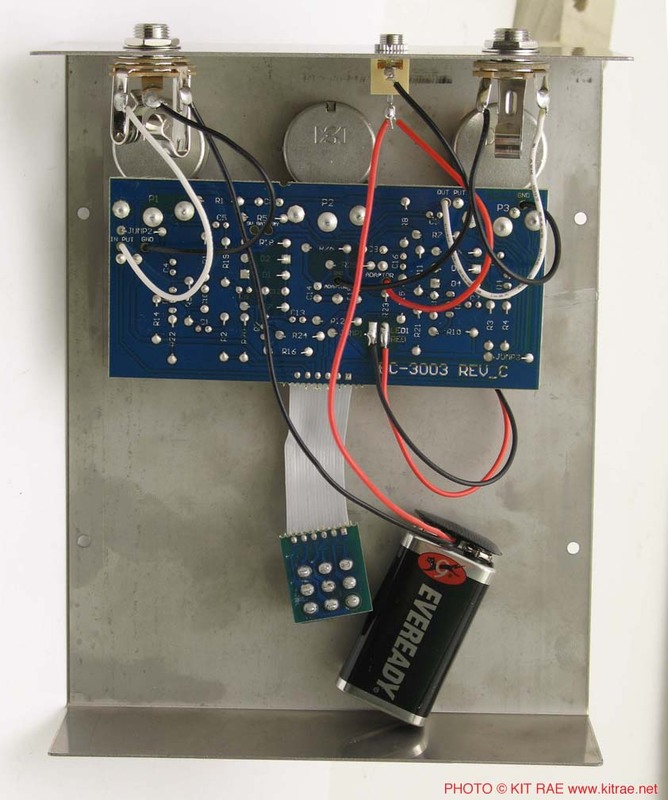 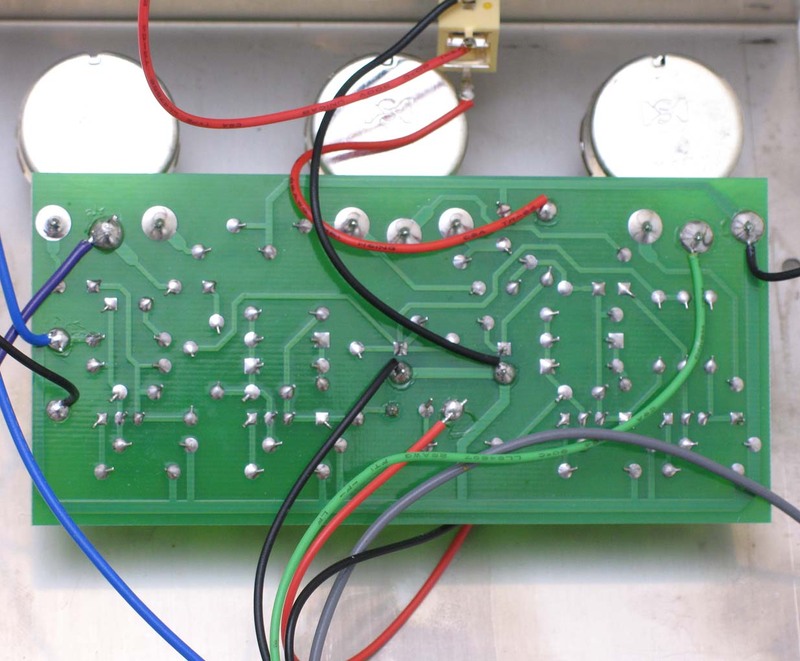 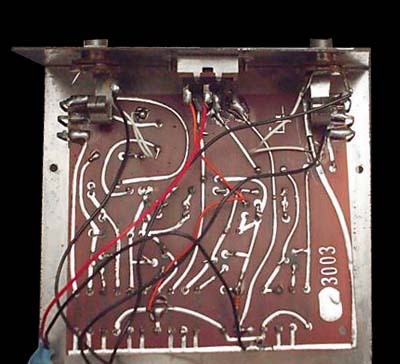 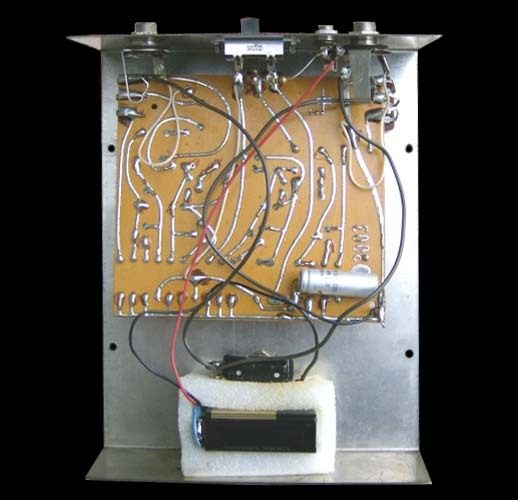 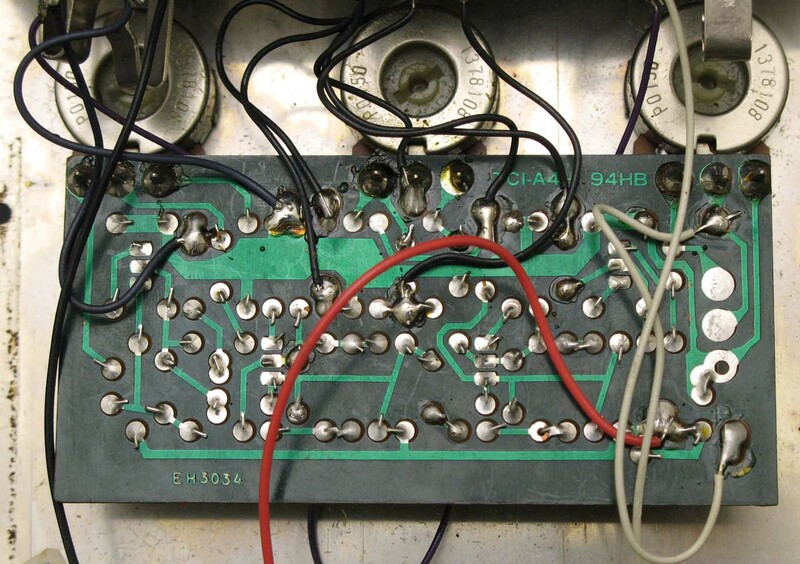 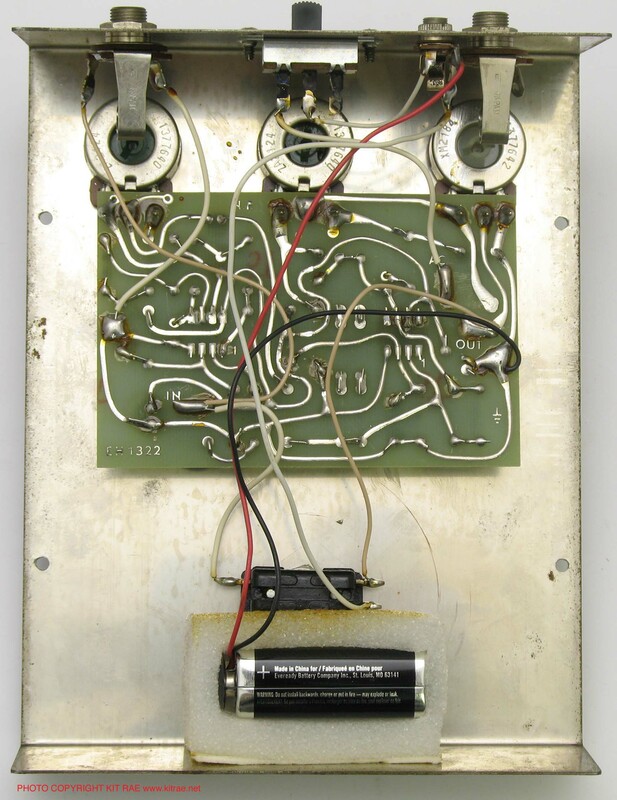 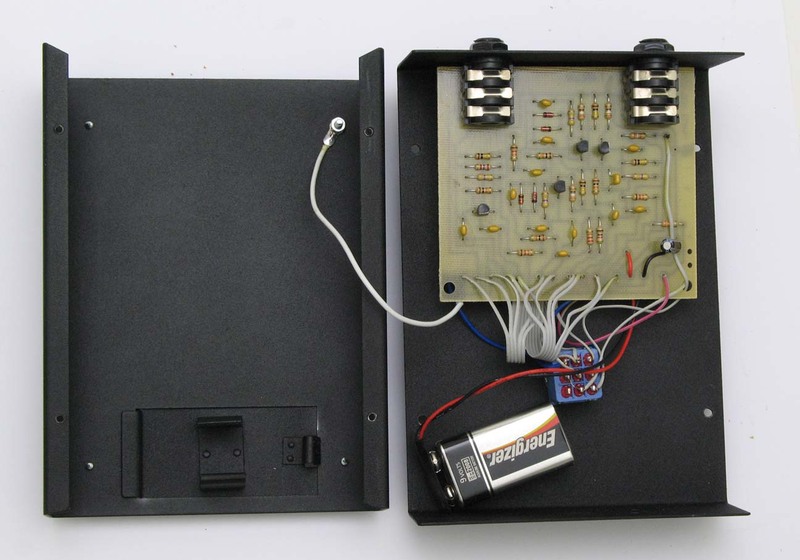 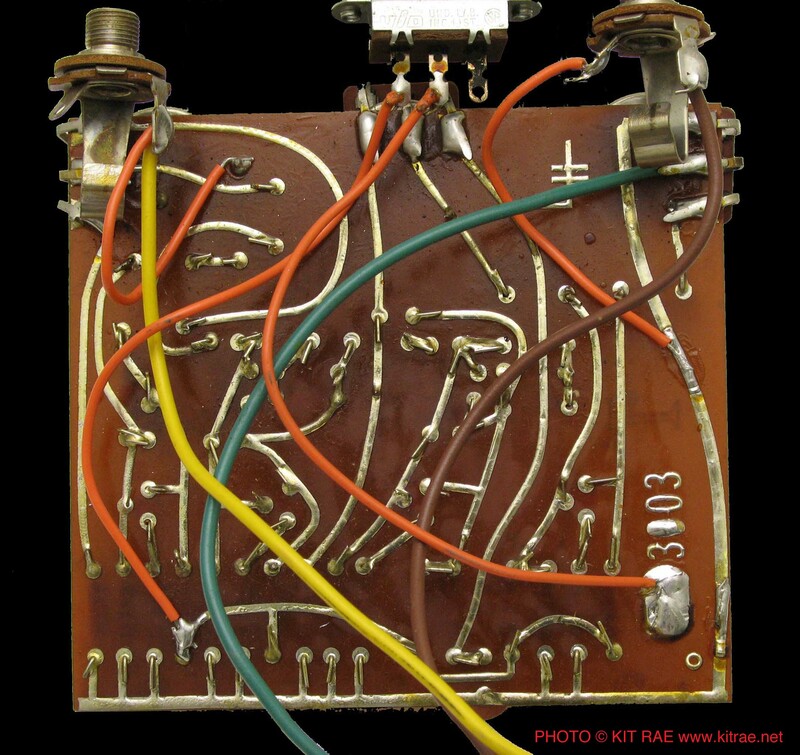 Version 6 "TONE BYPASS" BIG MUFF (USA circa 1980) - The V3 transistor based Big Muff circuit continued to be made simultneous to the V4/V5 OP-AMP versions, but around 1980 it was given a new circuit board and went through a series of graphics changes. 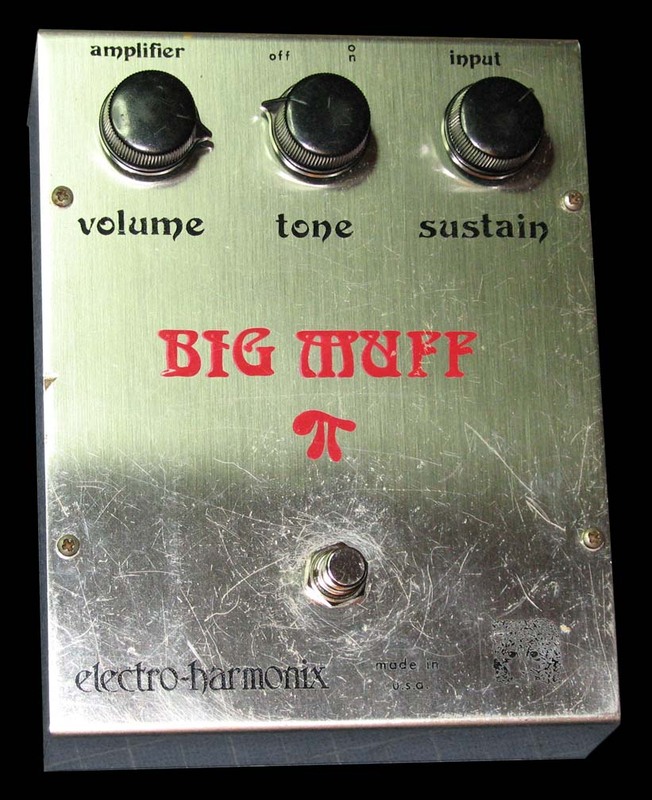 The tone of this circuit is very similar to the V3 Big Muffs described above, and was basically the same as the "tone bypass" V3, which used the exact same schematic. 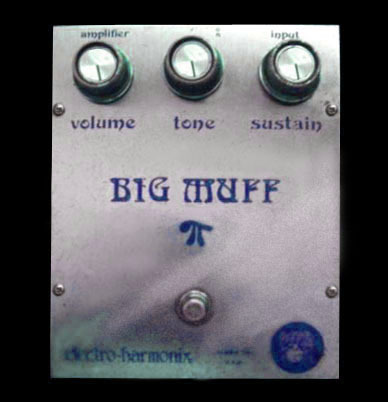 Unlike the previous Big Muffs (V1, V2, V3), only one schematic was used for all V6 Big Muffs, so the sound was relatively consistent from unit to unit. 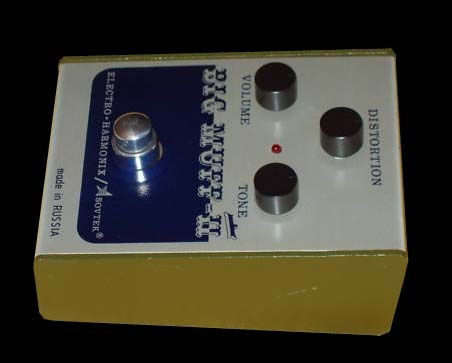 In the examples I have played and owned there seemes to be slightly more sustain/gain on tap than typical V3s, slightly more grit and fuzz to the tone, and the circuits were slightly noisier. 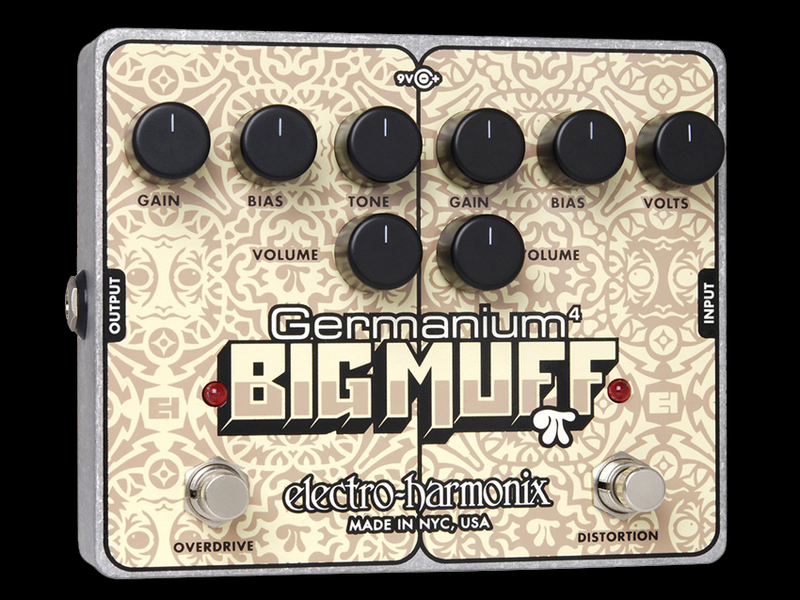 Compared to the V4/V5 op-amp Big Muffs, the V6 has more gain, more bottom end, and is more reactive to pick attack and harmonics, but it is also much noisier at high gain settings. 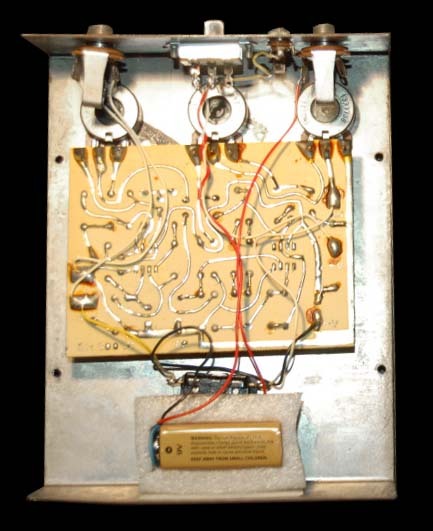 The 'tone bypass' (not true bypass) switch was kept from the V3 and V5 versions, which allows you to completely remove the tone section from the circuit. 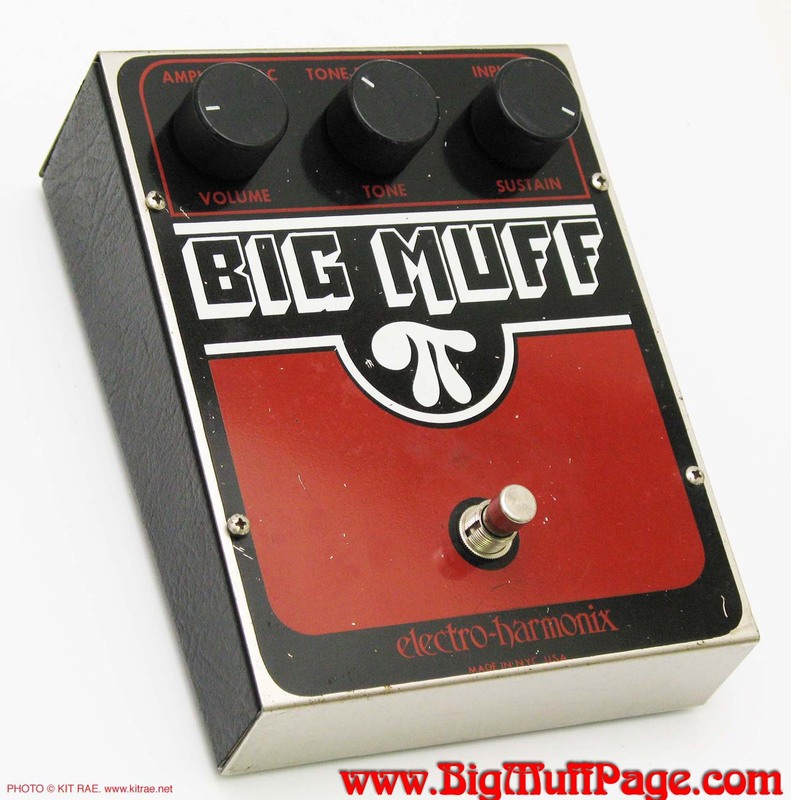 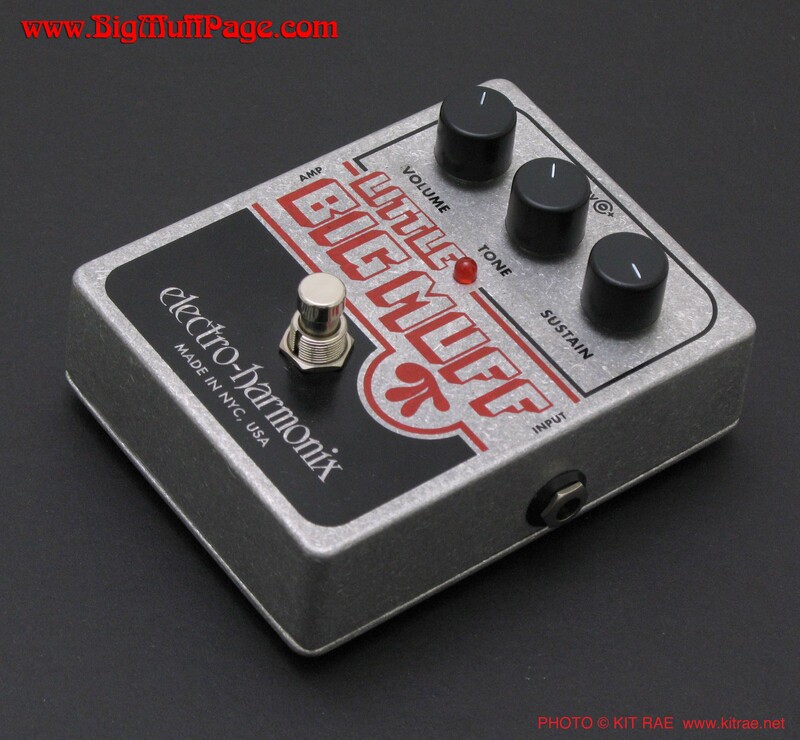 This gives a raunchy, raw, and very loud tone with more mid range. 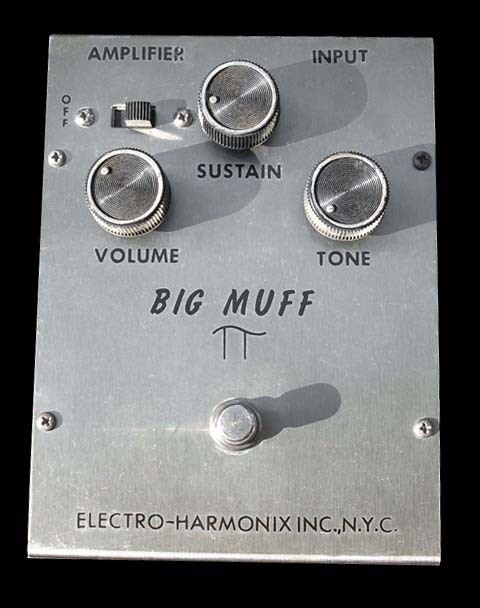 It stands out better in a band mix, but lacks the trademark Big Muff character. 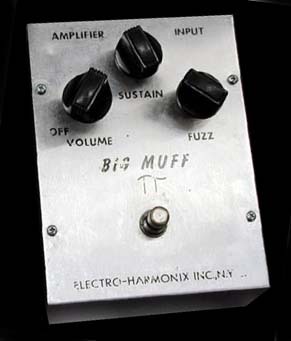 The bass, treble, and fuzz varies slightly from unit to unit. 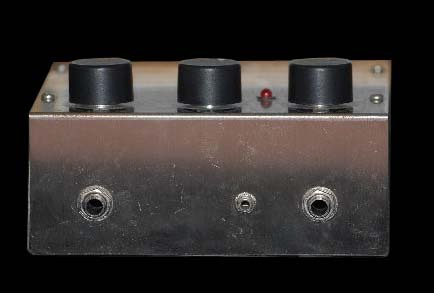 V6 QUICK IDENTIFIER - Words TONE BYPASS on top, linear knob sweep (zero at same place for each knob), hockey puck shaped knobs. 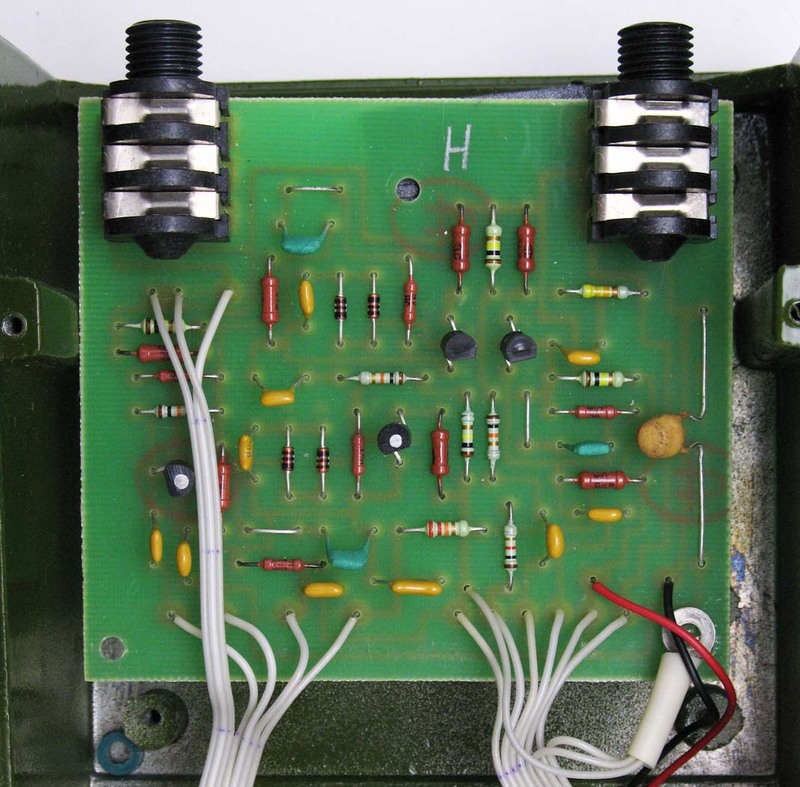 Circuit boards marked EH3003, EH3034 HB-1, or EH3034 TC1-A4H 94HB, in the exact style pictured above. 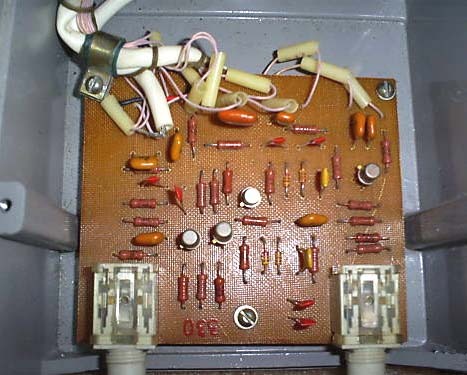 Tone bypass switch on back, no power switch. 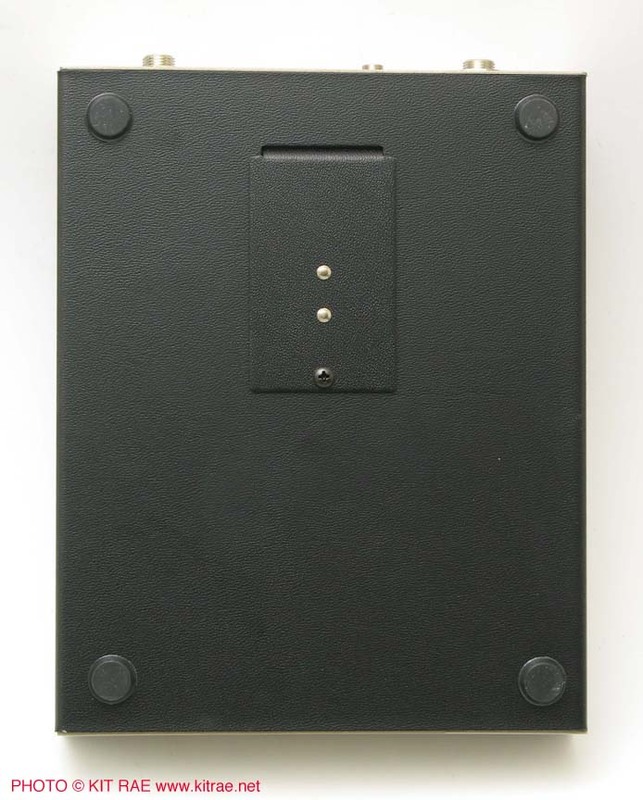 No LED or battery door. 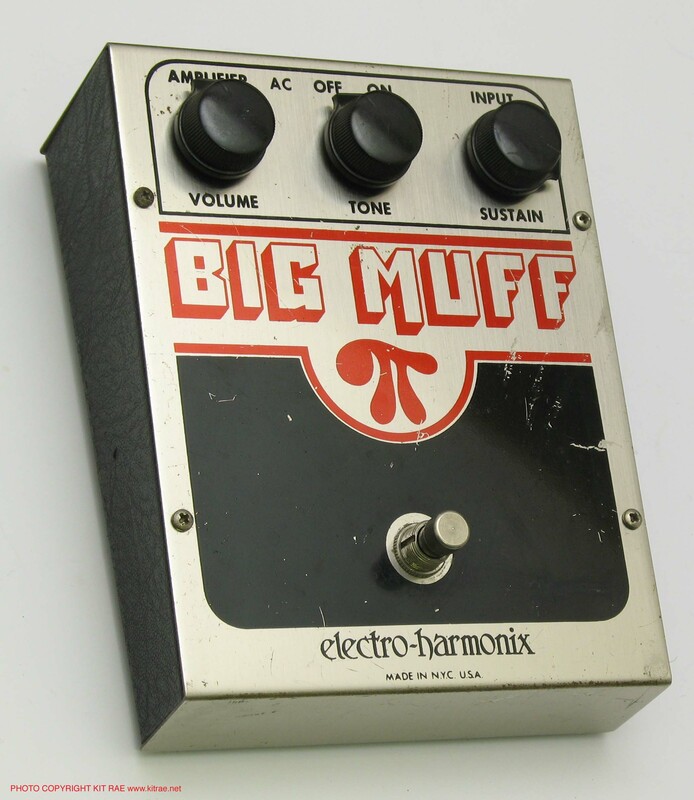 Includes AC adapter jack on back. 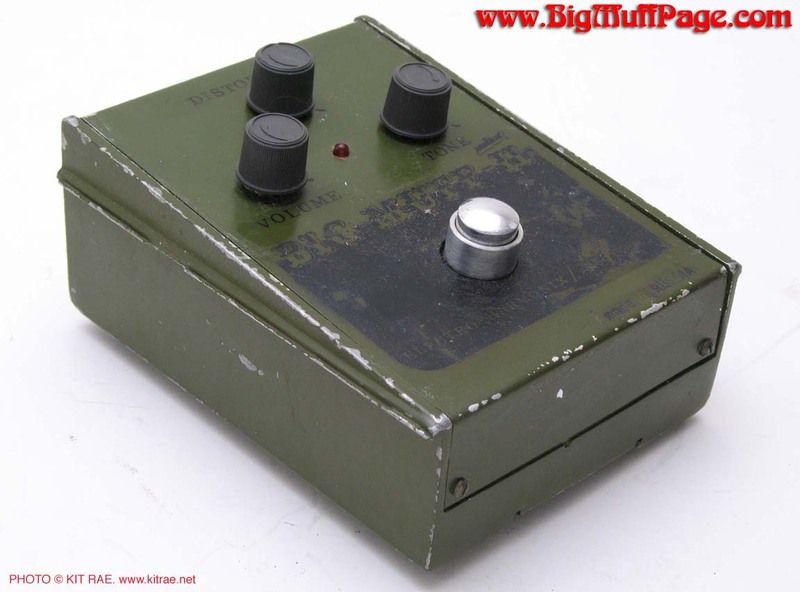 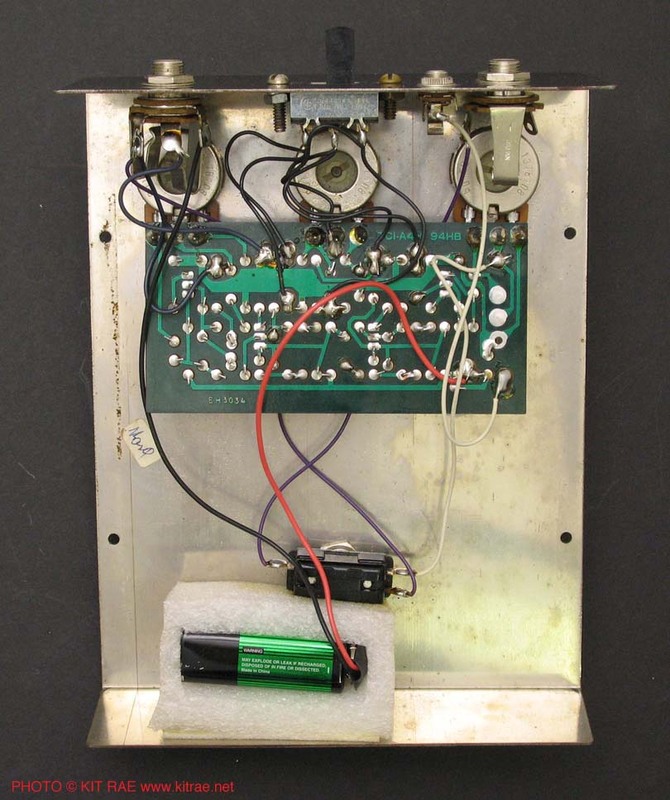 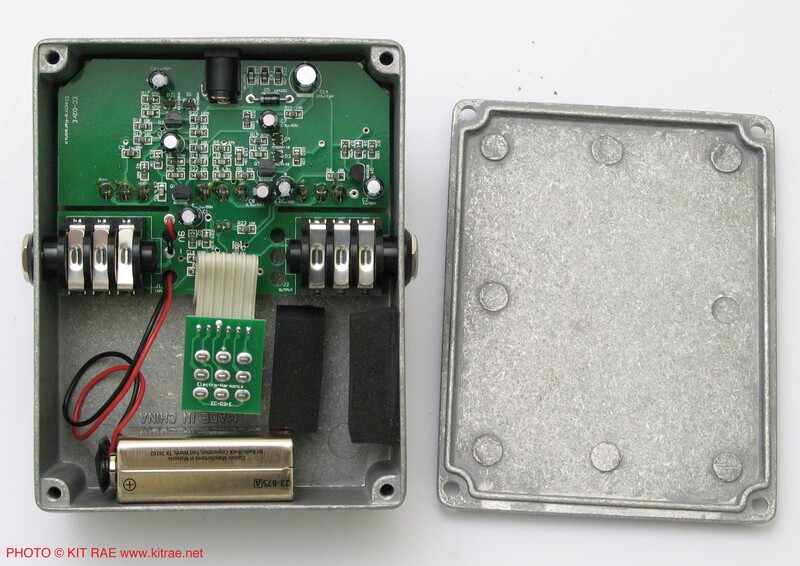 RED ARMY OVERDRIVE QUICK IDENTIFIER - First edition, circa 1990, had black hockey puck knobs, a green box bottom, and the circuit had three large 430pF capacitors (circled in yellow above). 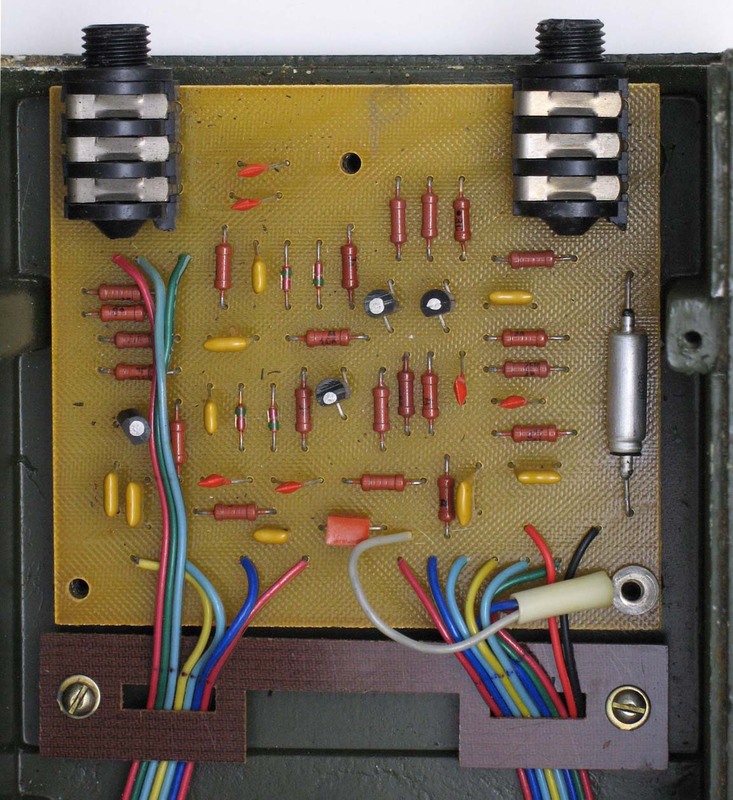 The second edition, had gray knobs, a gray box bottom, slightly different graphics (the R beside Sovtek was circled), and the 430pF caps were replaced with two identical 1nF square flag caps (circled in yellow above) in each of the three positions. 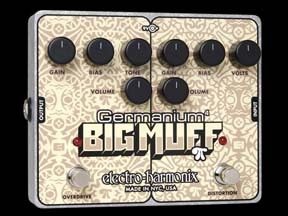 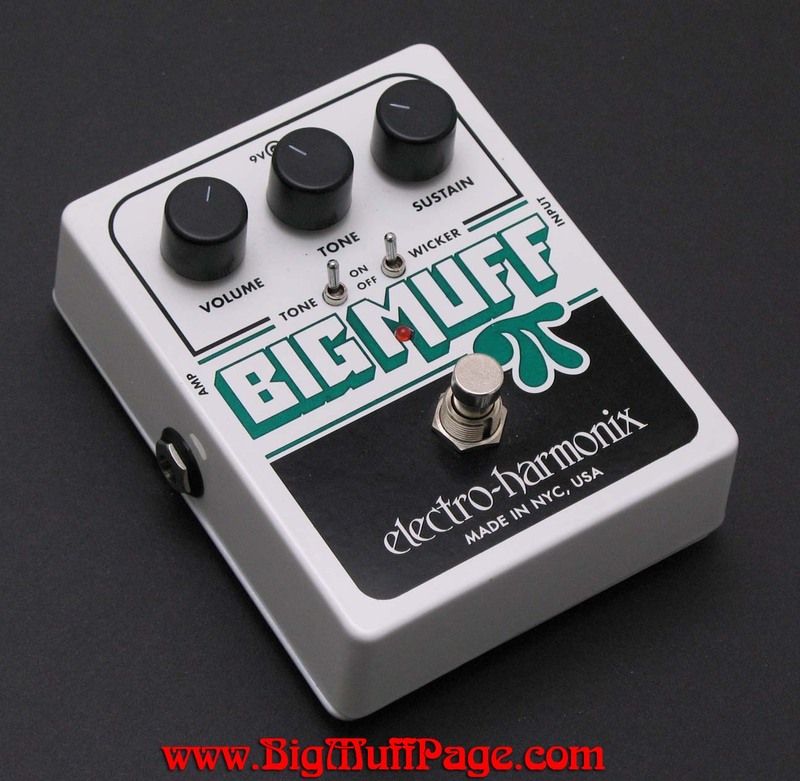 Version 8 BLACK RUSSIAN BIG MUFF small box (Russia circa 2000) - Identical in tone to the V7C third edition (Bubble Font Green Russian) and V7D Big Muffs shown above. 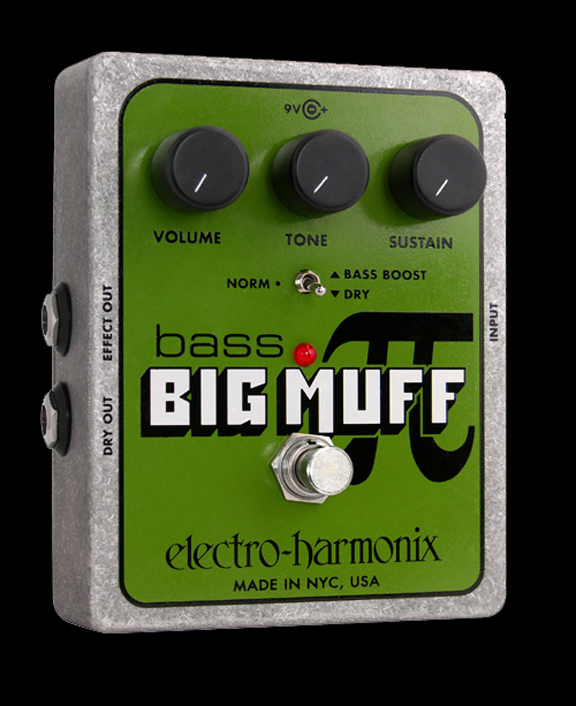 The bass and treble of the tone varies slightly from unit to unit, but the differences are usually minor. 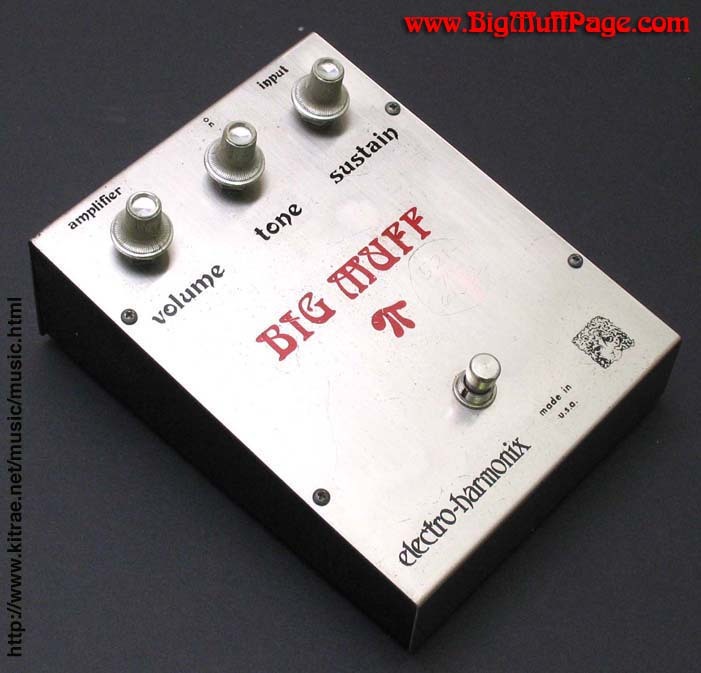 These are discontinued, but the V11 Bass Big Muff sounds very similar and was intended as a replacement. 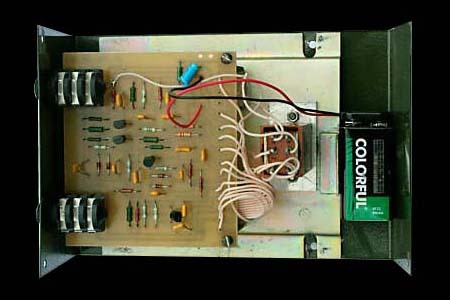 V8 QUICK IDENTIFIER - Folded sheet metal box with six outer screws, later changed to four outer screws. 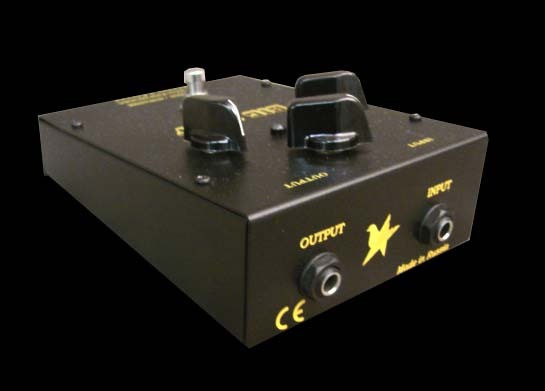 All black color, yellow graphics, black chicken head knobs, metal battery door. 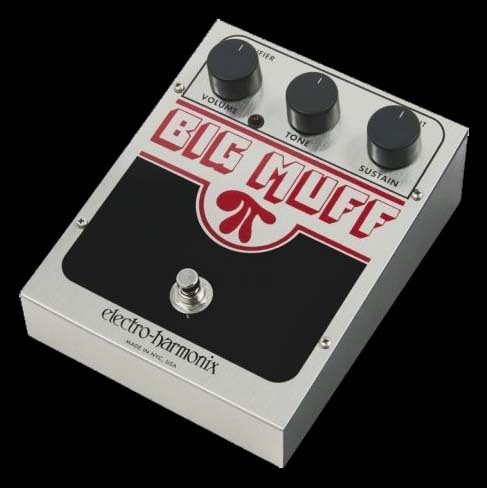 Smaller box size than the V8. 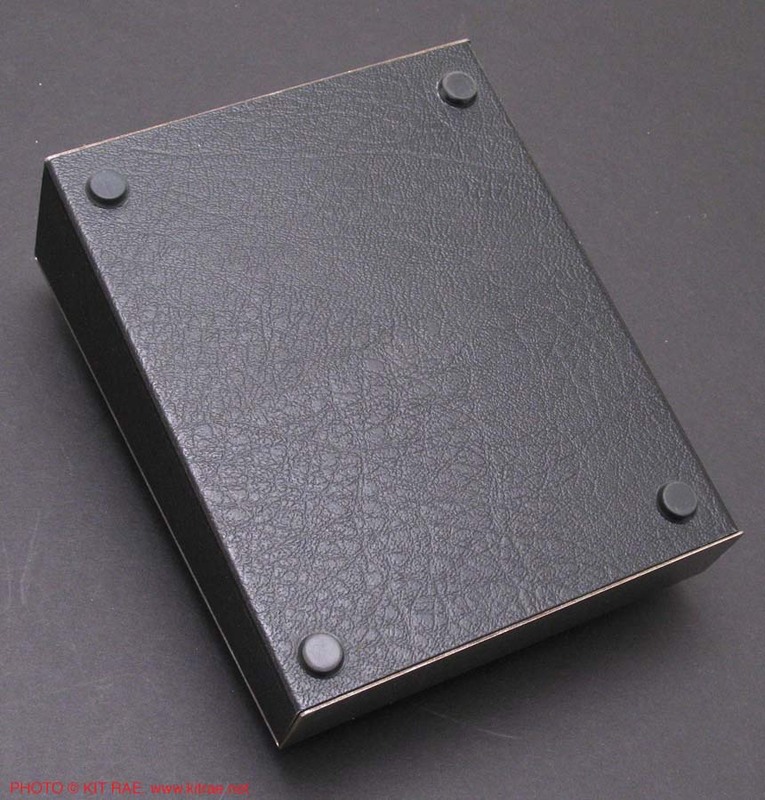 The V7D box is 2 3/4"(70mm) tall and the V8 box is 2"(50.5mm) tall, not including the rubber feet.